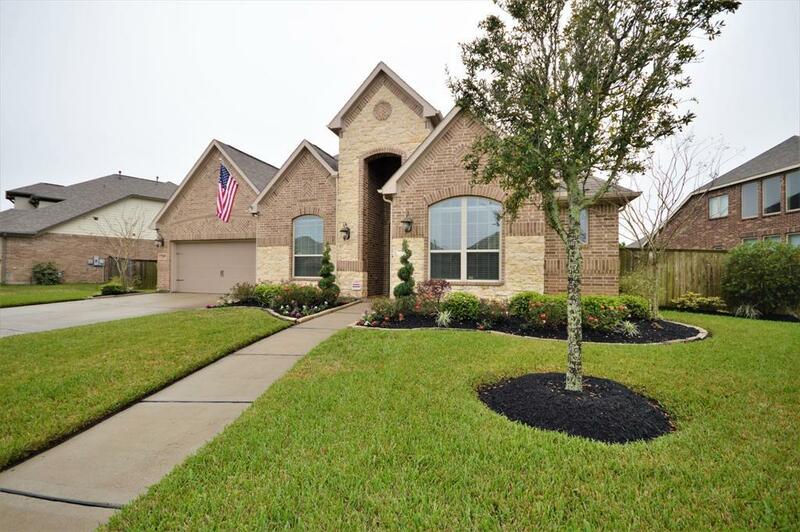 Absolutely gorgeous home in sought after Southern Trails! Fabulous Village Builders. 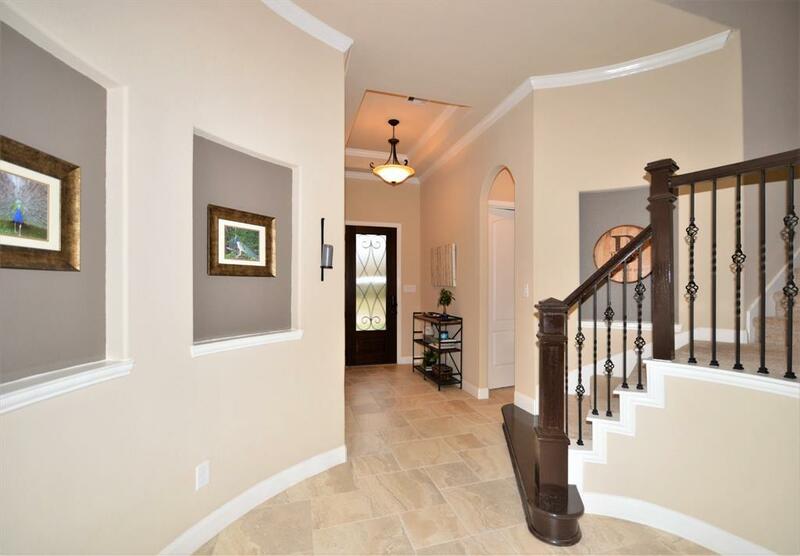 Upon entering the home, you will find a large entrance way with high ceilings, beautiful oversized tile flooring, a lovely study with a Craftsman-Style Coffered Ceiling, French doors with Beveled glass inserts & a closet for extra storage. 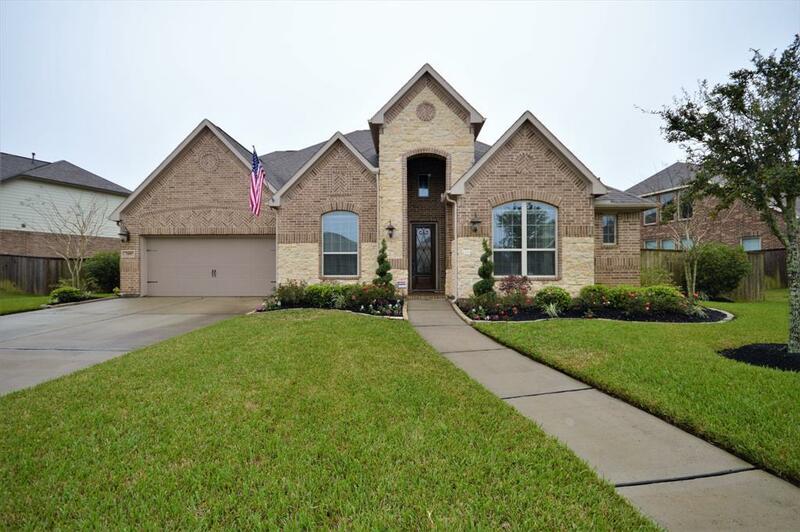 Oversized dining room with a Butlers pantry/Dry bar, an impeccably designed kitchen huge island with abundant cabinet space, 5 burner gas stove, large walk-in pantry & breakfast area with beautiful views, Family room has a fire place & plenty of natural light. Master suite with separate entry from the hallway has a lovely view, impressive closet and a spa like bathroom. Downstairs also features 3 more spacious bedrooms & Mud room. 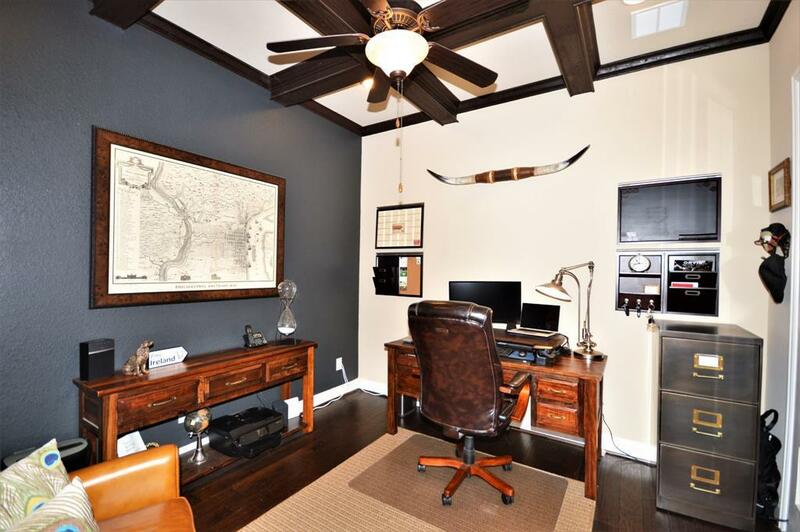 Upstairs is a large game room, full bath & media room. Back yard features sprinkler system, covered patio, beautiful landscaping & open to a restricted reserve/green space. Three car tandem garage. No Flooding. This is a must see!